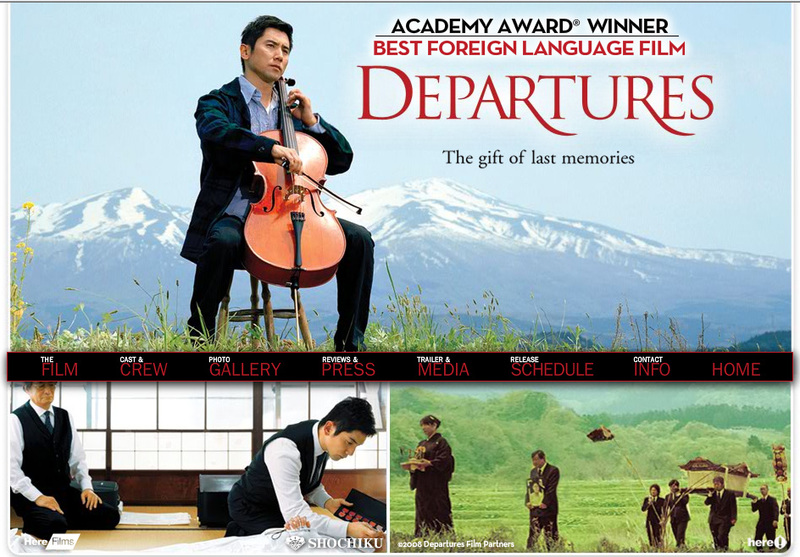 Released as Departures in the English speaking world, Okuribito, the entry from Japan, won the 2009 Academy Award for Best Foreign Film. The movie is about the story of cello player who in search of work goes back to his birthplace and lands an odd job. The job of Okuribito – a person who prepares the departed for their final journey. Poignant in parts, funny in others, the movie had a sense of calm to it that I found endearing. It is also a nice peek into Japanese society. Daigo Kobayashi, the young out of work cellist, comes across as a shy, and yet strong willed person. His travails are honestly captured by Masahiro Motoki. Look out for his portrayal of disgust and sickness on his first assignment to prepare a rotting old woman’s body, the breakdown scene where he tears through his docile wife’s clothes, and the many scenes where he is preparing the departed. Other characters are well fleshed out, specially that of Daigo’s wife Mika Kobayashi (played by Ryoko Hirosue) and his boss Ikuei Sasaki (played by Tsutomu Yamazaki). This is probably my first truly Japanese movie and I enjoyed the freshness of seeing great performances from unfamiliar artists and the slow and beautiful poetry which I believe represents the society. The background score holds up well and thankfully never disturbs the on screen calm. There is some allegory thrown in, for example the scene where the characters are feasting on meat in an almost animal like manner. The subtitles in the theatre version I saw were well worded and timed, and so, I had no problem in keeping up with the mood or pace of the film. I would go so far as to say that I enjoyed the sounds of Japanese dialogue though I did not understand a single word. Okuribito is worth a watch for many reasons, not the least of which is the message that the dead deserve respect and grace, that the departed soul must be given a loving goodbye. I recommend this movie for a quiet evening watch. The words below are often (wrongly) attributed to Mother Teresa. However, the author is Kent Keith, and he calls them “The Paradoxical Commandments”. Inspiring, to say the least. I thought I knew what love is. I did not. Did I do enough for her? I did not. Did I stand by her at all times? I did not. Did I keep my faith as her friend? I did not. Do I deserve her? I do not. Do I love her? I do.